When you own a trailer, you not only want to keep it running it peak efficiency, you want to keep it safe and secure at all times. At Sturdy Built Trailer Parts, we've got you and your boat trailer, work trailer or utility trailer covered in both areas, with superior quality trailer parts at extremely affordable prices. 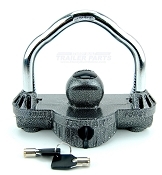 If you're searching for trailer locks, our collection below definitely has what you're looking for. 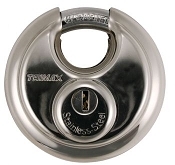 From trailer wheel locks to street cuff locks, from trailer coupler tongue hitch locks to the stoutest of security locks, our trailer lock selection features the strongest names in the business, like Master Lock, Trimax and more.